You’ve put together a strong search. You have a saved project full of great candidates. Now, you just need a way to get in contact with them. You send them a LinkedIn InMail. And inevitably, you end up disappointed. Why? Simply put, because LinkedIn InMails have a pretty dismal response rate. Despite InMail being most recruiters’ preferred method of contacting candidates, LinkedIn themselves admit that response rates are a mere 28 percent on average. That means for every ten people you contact, less than three of them are getting back to you. And to be clear, the responses you get back aren’t all enthusiastic candidates excited to hear about your opportunity. That 28 percent response rate includes accepted messages…and declined. And for most recruiters, that just won’t cut it. According to SocialTalent, your average recruiter’s candidate-to-hire conversion rate is just 0.4%. That means you need to identify 225 potential candidates just to make one hire. And with just one or two in every ten people even accepting your LinkedIn InMail, you’ll be spending a lot of time (and energy) working to fill that one job. Luckily, there are other ways to contact candidates that are much more effective. Here’s Why LinkedIn InMail Doesn’t Work. Look, with 546 million members and counting, LinkedIn is clearly doing something right. And when they first introduced InMail, recruiters loved it. So much, in fact, that in 2014, AdWeek highlighted that 48 percent of recruiters used LinkedIn exclusively for contacting candidates. But, that’s exactly where the problem comes from. At the time when LinkedIn InMail was taking off, recruiters could send a message to a candidate and if they didn’t hear back, LinkedIn would credit the InMail back to their account. That policy made it so that recruiters could blast out up-to-100 InMails at a time, with no repercussions. But not so much for the people they contacted. Top talent — especially in the most in-demand fields like tech — were tired of LinkedIn InMails. Many candidates receive upwards of 20 InMails per week according to one source. And that oversaturation of InMails led to a ton of fatigue for passive candidates. In short, LinkedIn is so big and LinkedIn InMail are so overused, that their effectiveness just isn’t what it used to be. Today’s recruiters need to be more creative in their approach to connecting with top talent. #1. Good Ol’ Fashioned Cold Calling. I’ll admit, cold calling a candidate can be pretty intimidating. And for many recruiters, the old “smile and dial” method of contacting people may seem outdated. But, the truth is thart a 2016 survey of recruiters found picking up the phone was the most effective way to get in contact with potential applicants — by far. Cold calls had a 44 percent response rate for recruiters. Of course, when you reach out has a significant impact on your success. A study from CallHippo found that the best time to make calls is between 4:00pm and 5:00pm on Wednesdays. #2. Follow Up, Follow Up, Then Follow Up Again. One of the problems with LinkedIn InMail is that until a candidate responds, you can only send one message at a time. (Unless you want to use another of your valuable InMail credits). That means most recruiters send one message to a candidate…and then move on to someone else. Which, frankly, just doesn’t work. A report from MarketingDonut found that 80 percent of “sales” (a.k.a. hired candidates) require five follow-ups. But, Yesware found that 70 percent of emails stop after the first one. So, despite the fact that data shows you need to follow-up to “close a deal,” few are actually doing it. 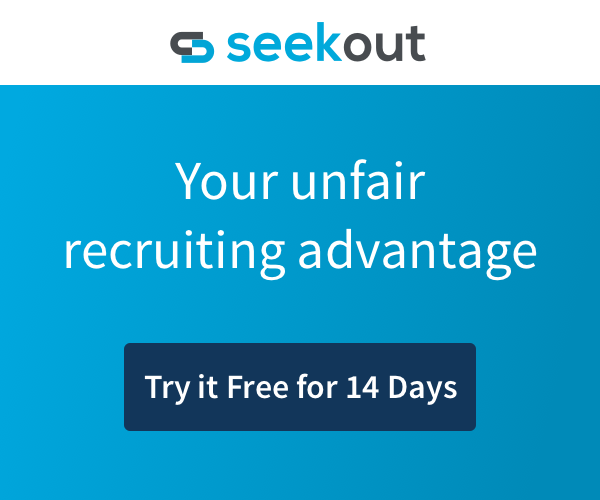 This can single-handedly be the easiest way to differentiate yourself from other recruiters and have a huge impact on your response rate. The SeekOut team recently announced the launch of our new Google Chrome extension, Sourcing Assistant. The combination of cold calling and sending emails to a real email address (as opposed to LinkedIn InMail) is a great first step toward improving your response rate. #4. Use social profiles for omni-channel candidate engagement. In 2017, 81 percent of the U.S. population had at least one social account. And what does every social account have? A way to contact the person behind the profile. Facebook, Twitter, Instagram, and Snapchat all have direct message capabilities. You can also tag people in a post of your own (or one you think a candidate might find interesting) to engage candidates. Omni-channel recruitment marketing isn’t something reserved for huge companies with big marketing budgets. It’s something you as an individual contributor can do to communicate with candidates in a creative, out-of-the-box way. And to be clear, finding those social profiles doesn’t mean scrolling through the thousands of people with the same name on every social channel. All easily accessible from wherever you source talent. Expanding your candidate outreach strategy beyond LinkedIn InMail will boost your response rate and give you better access to the candidates who started ignoring recruiter InMails a long time ago. What other outreach strategies do you use to contact candidates?